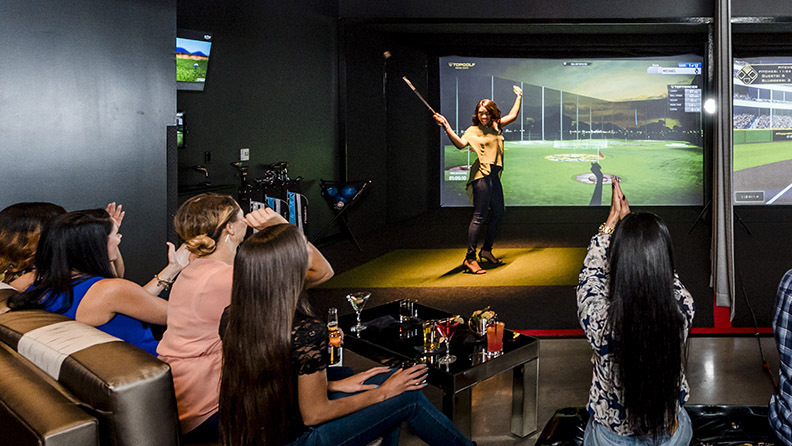 Experience a new way to play at the first and only Topgolf Swing Suite at M Resort in Las Vegas. Immerse yourself in fun! Experience the high-energy, interactive sport and social atmosphere that is changing the way people play. 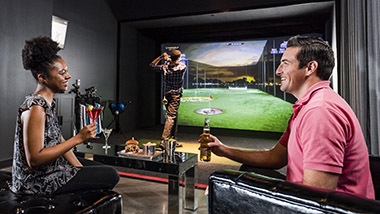 Whether you're planning a date night, celebrating with friends and family or just working on your swing, the luxurious Topgolf Swing Suite is ideal for any occasion. 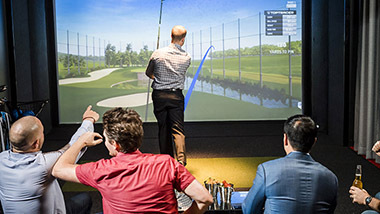 With its one-of-a-kind simulation that’s fun for golfers and non-golfers alike, you'll enjoy our spacious, temperature-controlled lounge area where you’ll eat, drink and take part in a variety of interactive games. 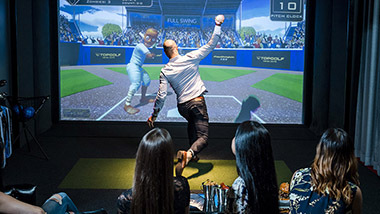 What is Topgolf Swing Suite? 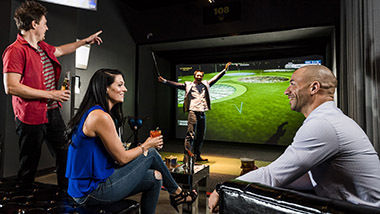 Featuring a massive screen and a selection of exciting virtual games, our Topgolf Swing Suite offers various golf and multi-sport games including the TopContender, which tracks shot accuracy while awarding players points for hitting targets. Test your skills by playing some of the world’s best golf courses, such as St. Andrews, Gleneagles, Torrey Pines, Pebble Beach and more.Take the mound and pitch against a team of zombies or knock them out in a game of dodgeball. Perfect your slapshot with our newest game - virtual hockey. Our Swing Suite consists of two bays perfect for date night, special events, celebrations, company events or just to work on your swing. 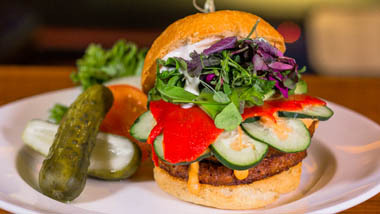 Take part in some friendly competition while enjoying a variety of great food and outstanding beverages – including mouth-watering burgers, pizza, craft beer, specialty cocktails and gourmet milkshakes. All equipment is provided. Our Topgolf Swing Suite is located across from Baby Cakes Artisan Bakery. Reservations are recommended. 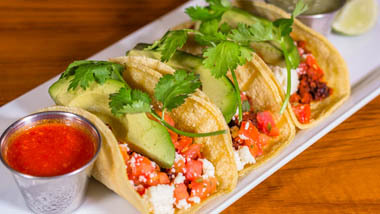 For Reservations, please call 702-797-1666 during operating hours. You can reserve a swing suite for 1 hour. Walk-ins are welcome, but reservations are encouraged. 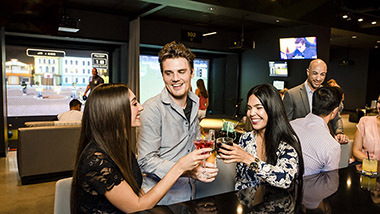 • Casino comps and room charges will not be accepted for Topgolf, but casino comps can be used towards food and beverage purchases at the Topgolf Swing Suite. • Players must be 18 years or older unless accompanied by an adult. • All equipment will be provided; personal clubs and game equipment are prohibited.